A multitude of Sherman tanks were conceived during its lifespan. Three reasons for this were perceived shortcomings in armor protection, mobility and firepower. For the first, “wet stowage” (glycerine protected) was introduced to protect internal ammunition racks. For the second, wider tracks to cope with the increasing weight were introduced, along with a new horizontal volute spring suspension (HVSS) system. Thirdly, a longer caliber 76mm gun appeared. 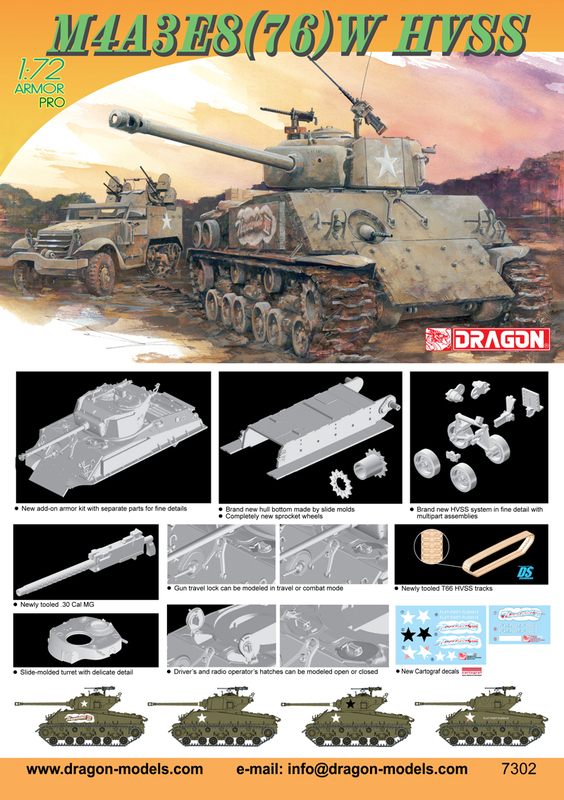 All these modifications came together in the M4A3 (76mm) HVSS tank – a total of 1445 being manufactured between August and December 1944.